WP&E - Women Professionals & Entrepreneurs Thailand are hosting a network events for Bangkok's most dynamic ladies at Maggie Choo's. 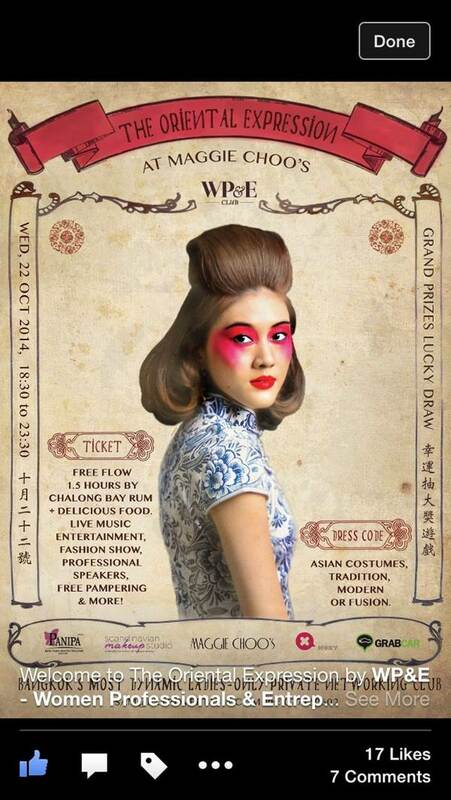 Ticket price includes free flow Chalong Bay Rum for 1.5 hours, delicious food, live music, fashion show, entertainment, professional speakers, free pampering and a grand prizes lucky draw. Dress code - Asian costumes - traditional, modern or fusion.